Two governments with one objective: to stop the spread of terrorism by any means possible. America and Israel are lifelong allies in an age-old war. To win this battle they will have to sell their souls. A mutilated body has been discovered - a body not meant to be found. But now that it has, Pandora's box is open and secrets never to be learned have been revealed. An Israeli woman living in New York has been murdered. She has been raped and butchered, an outrage that ignites a fuse that burns all the way back to Tel Aviv. 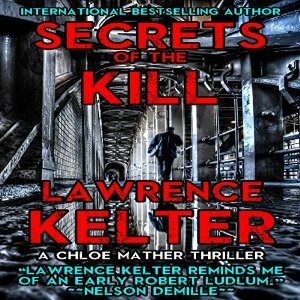 Enter FBI Agent Chloe Mather, a hard-charging ex-Marine who has no sympathy for the kind of maggot who could commit such a violent atrocity. A veteran of the war in Afghanistan, she was one of the first female Marines to be deployed into an active combat area. She struggles with PTSD and the consequences of a fatherless childhood, yet this is a woman who accepts no pity and operates according to a moral code that is second to none. She'll stop at nothing to find the psychopath responsible for this unspeakable crime.